six × seven = Required Please enter the correct value. U.S. Stock Market, Sept. 19, 2014: The stock market today (Friday) saw mixed trading. The Dow Jones Industrial Average closed at another record high with just a small gain, and the Nasdaq and S&P 500 both ended the day down. 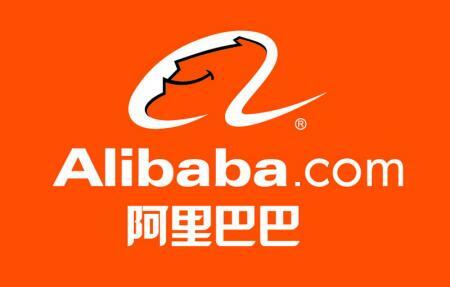 The day was dominated by Chinese e-commerce giant Alibaba Holding Group Ltd. (NYSE: BABA). This morning, the company finally went public after months of hype. The stock opened at a staggering $92, giving it a market cap of $227 billion. That's a lofty jump from the $68 per share that Alibaba executive set for its debut on the New York Stock Exchange. BABA ended its first day of trading at $93.89. Thanks to its price pop, Alibaba is now fighting with Wal-Mart Stores (NYSE: WMT) to break into the top five largest companies in the world based on market capitalization. Money Morning Executive Editor Bill Patalon explains that the IPO could bestow life-changing profits on investors shrewd enough to position themselves for something we refer to as the "Alibaba Shockwave Effect." Sanctions Hit Home: Multinational energy firm Exxon Mobil Corp. (NYSE: XOM) said it will wind down its operations in Russia's territories in the Arctic Circle. The company said that U.S. sanctions against Moscow will force it to halt its $700 million drilling project with Rosneft in order to comply with Washington's rules. Shares of Exxon were up marginally this afternoon. The Alibaba Effect: Shares of AOL Inc. (NYSE: AOL) dipped nearly 3% this afternoon as investors continue to speculate on whether the company will be acquired by rival Yahoo! Inc. (Nasdaq: YHOO). Yahoo, which has a nice cash windfall from its sales of Alibaba stock, could possibly use the money to make a big acquisition. Stepping Down: After 37 years at the helm, Lawrence "Larry" Ellison announced Friday that he will be stepping down as chief executive officer of Oracle Corp. (NYSE: ORCL). Shares of Oracle stock slipped roughly 4% on the news. Ellison will become the firm's chief technology officer and the chairman of the board. Merger Mania: Shares of Concur Technologies Inc. (Nasdaq: CNQR) soared more than 17% on news the software company will be purchased by SAP SE (NYSE ADR: SAP) for $8.3 billion. Shares of SAP were down more than 4%. The Big Hack: Shares of The Home Depot Inc. (NYSE: HD) were up this afternoon despite news that the data breach affecting customers now stands at 56 million credit cards. That total surpasses the number of cards that were compromised in last year's cyber attack on Target Corp. (NYSE: TGT). Although the breach could affect the company's brand with customers, the company has maintained its full-year outlook and increased its 2014 earnings forecast.